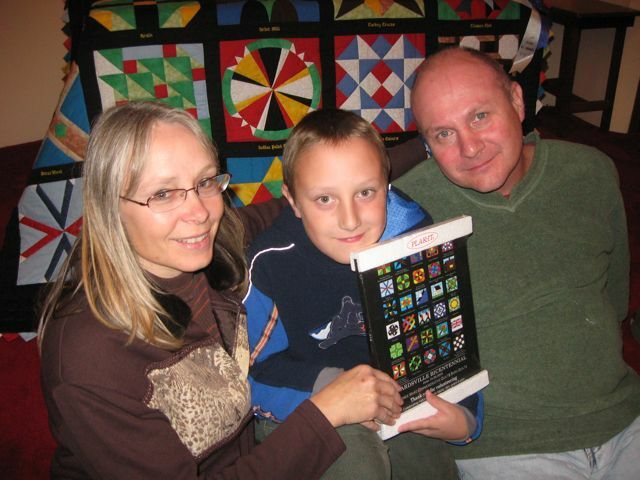 Crocodile Productions, Barbara Urbach and Gary VanOsch, created a unique barn quilt video for the Ontario Barn Quilt Trail. Their new home in Wardsville, “the old Community Hall”, is proving to be a great working space for this creative and ingenious couple. Check out their website. They have other videos and do unique wedding videos. Thankyou Barb and Gary for moving to Wardsville and saving the old community hall and using it for what it was intended. Posted on March 31, 2011, in Barn Quilt Champions., Barn Quilt Trails., Supporters & Sponsors., Videos and tagged Crocodile Productions, George Ward Barn Quilt Tour. Bookmark the permalink. 2 Comments. My husband, myself and our friends – another couple – were out for a leisurely drive yesterday afternoon and decided to head to Park Blueberries. Along the way we saw these most colourful geometric designs on a number of barns and were most curious as to what they represented. Our friend found your website and video explaining what we saw. Congratulations to the area for providing such a colourful, interesting display of barn quilts. We hope to travel back sometime with cameras in hand. Well done!! Thank-you so much for the kind comments. Come back again camera in hand and take some great pictures. Pass the word around to your family and friends about the barn quilt blocks.